8 Tips You Need To Know For The Solar Eclipse. Our universe does some absolutely miraculous things. So many of those things happen in the vastness of space, and we can't always watch them occur. On Monday, we will be able to witness one of those miracles happen first hand. Since 1979, this is the first total solar eclipse that the citizens of the United States will be able to witness. What makes it even more rare, is that this is this first time, since 1918, that it will sweep across the entire U.S. It will be a truly amazing experience, but there are some precautions that need to be made. So, be safe and have fun! A lot of people are wondering what a total solar eclipse actually is. 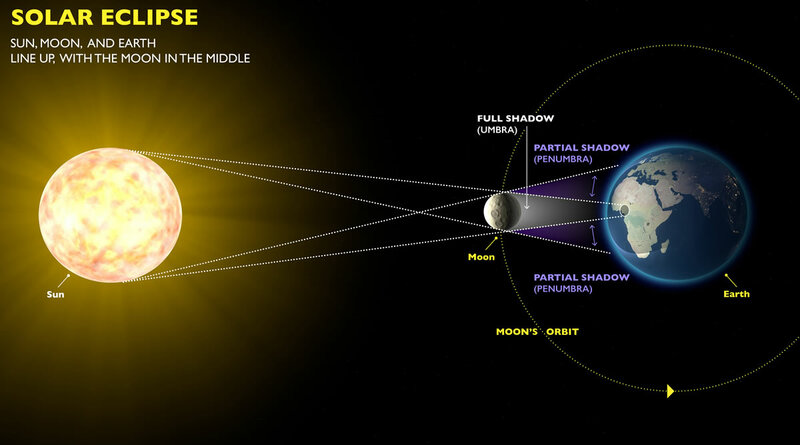 A total solar eclipse occurs when the moon passes between the Earth and the sun. When this happens, the moon casts a shadow over the sun, completely covering it up. You may be unsure if you'll be able to witness the eclipse where you are. A partial eclipse can be seen anywhere in the United States, but if you'd like to see the total eclipse, you may have to travel. The path is about 70 miles wide and will stretch from Lincoln Beach, Oregon, all the way to Charleston, South Carolina. Unfortunately, looking at the eclipse can cause a bit of harm. Staring directly at the sun can cause irreparable damage to the eyes. So, staring at the eclipse unfiltered isn't safe, except during the very short time when the sun is completely covered by the moon. Not staring directly at the eclipse means you need to block it out somehow. There are special solar eclipse glasses that are used to block out the sun's harmful UV rays. You can also learn to make your own online for very few dollars. A pinhole projector is a great way to view the eclipse. With just a cardboard box, some aluminum foil, and a few other household items, you can make your own viewer. Specific instructions can be found all over the internet.